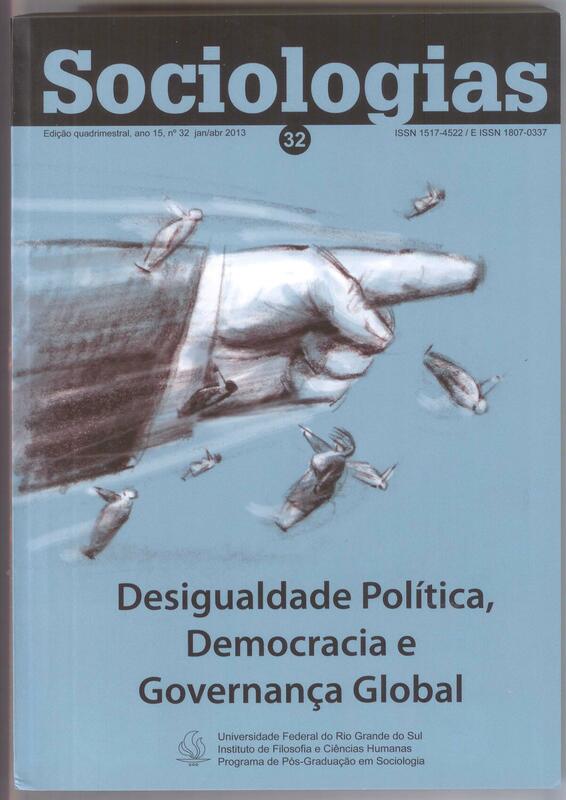 The first, “Desigualdade Política, Democracia e Governança Global,” is published in Sociologias, Brazil’s leading sociology journal in Spring 2013. Articles are in Portuguese. The second, “Democracy, Global Governance, and Political Inequality,” was published by the International Journal of Sociology in Summer 2013. Articles are in English, including a new article by Chase-Dunn and colleagues, and a translation of two articles from Sociologias: John Markoff’s article on the history of democracy, and Josh Dubrow’s article on political inequality as an obstacle to democratic global governance.